Welcome home to this spacious ranch style home nestled among the towering Ponderosa Pines on nearly an acre. The huge great room with soaring ceilings is just made for entertaining. The spectacular wall of windows make the room light and bright, while the fireplace keeps you cozy all winter. The open concept kitchen with large island make cooking a dream, and the large deck make outdoor dining a delight. Escape to your main floor master suite complete with a gas fireplace and private deck, perfect for sipping your morning coffee and watching the deer in your backyard. 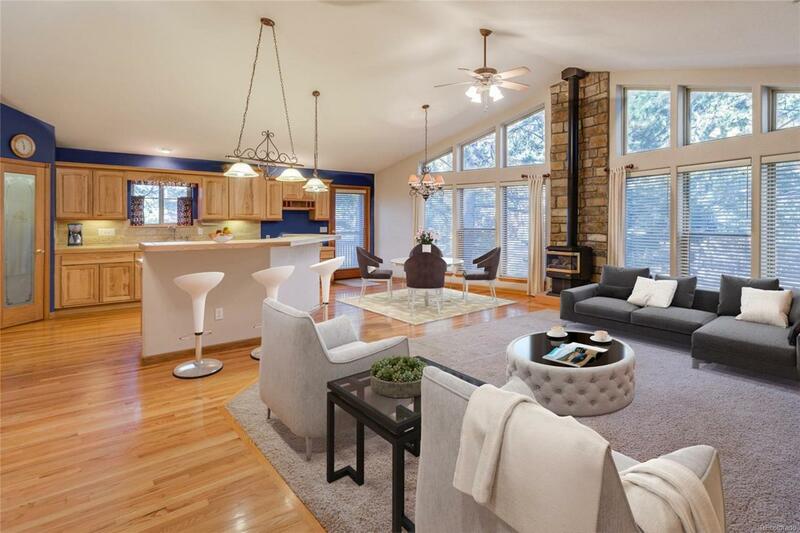 Finished walk out basement features a fireplace, wet bar and 2 additional bedrooms. You will love coming home to the peace and quiet of mountain living, while the restaurants and shopping in nearby Castle Rock are only 10 minutes away. This home and location have it all! A 5 year roof certification will be provided.